Strategic Gift Planning is more than just Planned Giving. It’s more than donations and fundraising and philanthropy. It’s tied to tectonic questions like, “why are we here”, and actions that change the world. As practitioners, we get stuck in our day-to-day activities. But who is a practitioner? We are fundraisers, lawyers, accountants, bankers, insurance professionals, estate trustees --- and we need to start talking to each other if we want to be of better service to our donors and clients. Welcome to the new blog from the Canadian Association of Gift Planners! 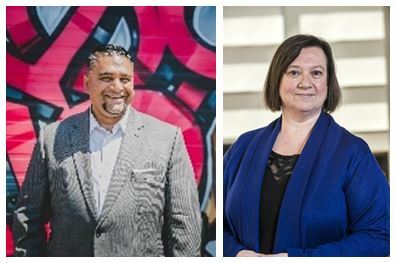 We are your hosts, Ruth MacKenzie, President & CEO of CAGP and Paul Nazareth, the new curator of this CAGP “community” conversation. It’s our hope that this will be a more engaging and live dialogue than the sometimes stuffy, often academic articles we have tended towards in years past. We hope to give a lot of our experts who may have been held back with that format, an opportunity to delve deeper and share their thoughts on the evolution of what they do on the, job based on their often very advanced experience and wisdom of perspective. We’ll also curate ideas from experts in our gift planning community that have been featured in other great resources and publications. 1) New peers in the community: from Victoria to Prince Edward Island there are new young professionals discovering Gift Planning. We have decade-long fundraising experts falling in love with the impact achieved through strategic charitable giving as well as its massive potential as the donor demographic swings to gifts from the asset-based, complex-gift end of the fundraising spectrum. 2) People outside our association: You know the designations of CPA, CFP, TEP, FCA, CIP, EPC, CSA, CFRE. We’ve been at the party with the ‘usual suspects’ for a very long time. We now need to be looking outward and into the big wide world of donor and client engagement for voices and experiences beyond our own. We hope to bring those voices and that experience into this conversation. 3) YOU: Yes, you! Comment here on the blog, engage on LinkedIn, share via Twitter, Facebook, Youtube. We know you’re out there and we know you have an opinion. And if you’re working on a strategic gift or empowering client legacies then we want to hear from you. We hope to create a platform where you have a voice to speak, ask, disagree and gain value that isn’t just interesting but which you can take to work and we can all put to work. At the last CAGP Conference, Paul was asked to answer the question, “where is the profession going” in our inaugural FRANK Talks. If you haven’t seen that quick 7 minute TED-style thought-bubble, please take a peek. We are very proud that our leadership in CAGP recognizes that newsletters, membership and associations are evolving in 2016 and beyond. This is the first step to that evolved community, adding ideas and voices to the recipe. You are needed; your eyes, ears, mouth and hands. We promise, we’re going to do great things together, and have fun at the same time! Do you know a resource or great read we’ve missed? Please share in the comments! Paul Nazareth is one of the 2016 “Friends of CAGP” and has spent 16 years in Gift Planning. As Vice President of Community Engagement with CanadaHelps, Paul’s team works with charities as they fundraise, donors as they give and advisors as they facilitate client philanthropy. He has been a philanthropic advisor with a bank and spent over a decade as a charitable gift planner. Paul teaches a national online Planned Giving course with the postgraduate fundraising program at Georgian College, is Chair of the Advisory Committee at the Humber College postgraduate fundraising program, an instructor with CAGP and writes on philanthropy for a variety of national publications. Ruth has a 30-year background in the nonprofit sector, working at the local, provincial and national levels. For 12 years she was with Volunteer Canada, serving as its President and CEO from 2007-2013, and previously held the position of Director, Volunteer Development with the Canadian Cancer Society, Nova Scotia Division. Ruth is also a committed volunteer. She currently serves on the Board of Directors of the International Association for Volunteer Effort, and of CanadaHelps. She also Chairs the Champlain Region Grant Review Team of the Ontario Trillium Foundation – Canada’s largest granting agency. Ruth also served on the Governor General of Canada’s Volunteerism and Philanthropy Advisory Committee. In acknowledgement of her contribution to volunteerism, Ruth was awarded the Queen Elizabeth II Diamond Jubilee Medal in by the Governor General in April 2012.